Published Wednesday 20 March 2019 At Ealing’s cabinet meeting on Tuesday 19 March, councillors endorsed the actions being taken to prepare for the UKs exit from the European Union (EU) – whatever form that may take. Ealing is home to people from all over the world who make a huge contribution to the borough, and this includes 55,000 EU citizens. The council believes diversity is one of the borough’s greatest strengths and wants its EU residents to apply for settled status, stay and prosper in Ealing. For many months the council, along with other London boroughs, partner organisations, the Local Government Association, London Councils and key providers have been exploring what the impact on services could be. Understanding the impact allows the council to prepare as best as it can with the information available to ensure continuity of support to residents and businesses regardless of what the outcome of Brexit negotiations are and the future relationship with the EU. Ealing is part of the London Resilience Group which meets regularly to consider the latest government data, and has worked to prepare for all scenario’s, including a ‘no deal’ Brexit on 29 March, with the information available. The action plan preparing for a ‘no deal’ scenario was part of the report Cabinet endorsed. Councillor Julian Bell, leader of Ealing Council said: “It’s a very worrying time for everyone, and especially for Ealing’s EU citizens, so I hope that we can help in offering reassurance and advice. View the report, 'Preparations for exiting the European Union'. 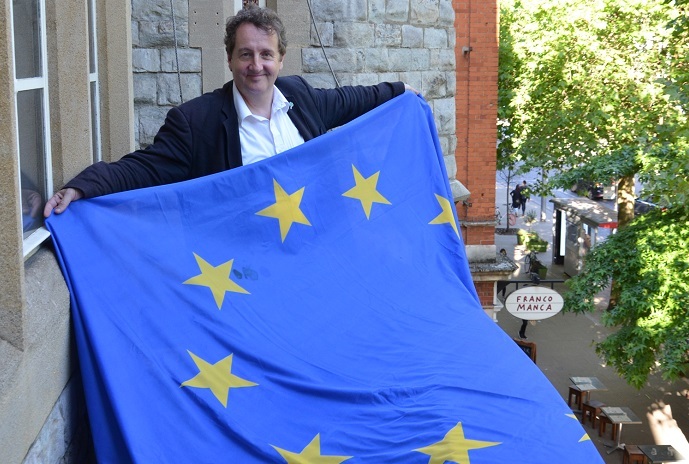 You can see a video of Councillor Julian Bell, leader of Ealing Council, talking about why the EU flag is flying over Ealing Town Hall or read his blog on the implications of Brexit.